When Rory discovered the freedom of living his life by faith, he still was not experiencing the reality of this truth in all areas of his life. While studying Psychology and Public Speaking at St. Cloud State University, Rory rededicated his life to the Lord Jesus, and became a member of Living Word Christian Center in Brooklyn Park MN. Rory graduated St. Cloud State University in the spring of 1994 and attended Rhema Bible Training Center that fall. Throughout his time at Rhema Bible Training Center, along with the privilege of sitting under some of the best teachers and ministers of our time, Rory learned firsthand how Gods’ anointed Word heals and forms faith in your heart to live free in the Kingdom of God. Upon graduating RBTC in June of 1996, under Gods direction, Rory moved to southern MN and launched the ministry of RSMI. In 2018 Rory received his Bachelors Degree in Theology from Life Christian University. From 1996 -2002 Rory was mentored by Pastors Dave and Kris Toyne of Agape Christian Family Church in Clear Lake IA. Through a series of events that should have destroyed his life and his family, the revelation of Jesus healing the brokenhearted saved and transformed him. This empowered his passion to take this message to as many people as possible. He continues to receive insight and revelation on how God, through Jesus Christ, heals hearts, and liberates His Children. The revelation of the heart, and how the heart operates, is central to living a victorious life of faith in Christ Jesus. Rory is committed to ministering to your heart the Word of God. To assist you in receiving your healing, to form faith, and to live in freedom in every area of your life. In 2001 Rory founded RORY SYNOGROUND PUBLICATIONS a publication company that produced a free publication called "FREEDOM" that reached 10,000 homes a month. This publication inspired hope and faith all over the world for several years. In 2002 he opened The Voice of Freedom Prayer & Healing Center in Austin MN. 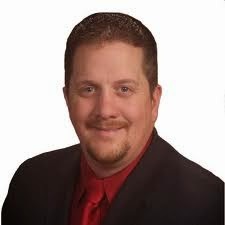 In 2006 Rory pioneered Freedom Christian Center in Austin MN. 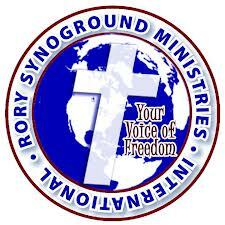 In 2010 Rory began hosting a Believers Fellowship Group in Austin MN. In January of 2011 These expanded to Albert Lea MN, and Osage IA. 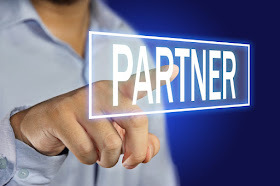 These Fellowship Groups focused in on ministering to the brokenhearted while providing a place for Christian Fellowship. Currently Rory now holds his Bachelors Degree in Theology from Life Christian University, Pastors Freedom Christian Fellowship in Austin MN and is an Area Director for International Convention of Faith Ministries, (ICFM) while conducting evangelistic meetings where the Lord leads. Rory is evangelistic in nature with a prophetic and teaching anointing accompanying his ministry. Rory ministers a bold uncompromising Word from the Lord, and prays for the sick. Through this ministry thousands of people have prayed the prayer of salvation, and have experienced medically confirmed healings.